Taking the "fresh air" cure on the grounds of the New York State Hospital for Incipient Pulmonary Tuberculosis. 1909. 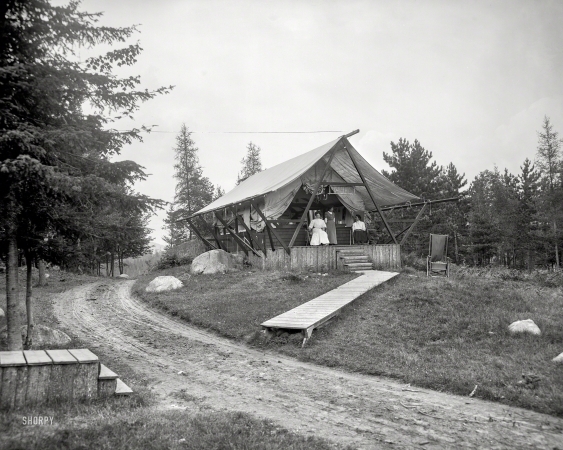 "A typical house tent, Ray Brook sanatorium, Adirondack Mountains."